KIM Kardashian's ex-husband has auctioned off her 20-carat diamond engagement ring. 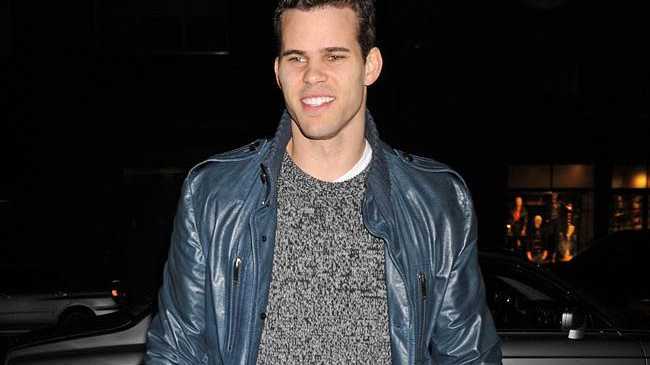 Basketball player Kris Humphries - who infamously split from the 'Keeping Up with the Kardashians' star after just 72 days of marriage in October 2011 - sold the ring he gave to his ex-wife for $620,000 at Christie's auction house in New York City on Tuesday. The anonymous buyer will pay a total of $749,000 for the ring after Christie's markup fees. Bidding opened at $200,000 for the Lorraine Schwartz creation, which features a 16.21-carat centre diamond between two 1.8-carat diamonds, according to UsMagazine.com. The auction catalogue stated that a portion of the sales price would be donated to an unidentified charity. The ring was originally expected to fetch between $300,000 and $500,000, but the six-figure sum is a far cry from the $2 million the ring was said to be worth when Kris, 28, proposed to Kim in May 2011. The auctioneer previously refused to confirm Kris was the owner of the ring and merely said it belonged to a "gentleman". A source also said at the time: "It is 100 per cent the same ring. Kim has been waiting for the day he would auction it. Everyone always asked what Kim did with the ring - she silently gave it back over a year ago! And Kris waited until the divorce was final to sell it." Kim now has a four-month-old daughter, North West, with her boyfriend Kanye West.